You’ve met the team. Now, it’s time to peek into the minds of the people behind ^IfMine. 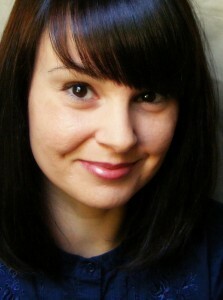 We’ll start with me, Danielle Hunter, ^IfMine’s blog author and socializer. Bio: Dedicated hobbyist, freelance writer and creative entrepreneur. Danielle is a multitasking mom who lives and works in Toledo, Ohio. ^IfMine Project Highlight: EcoScrapbooking – A collaboration of eco-friendly scrapbook layouts created by a community of scrapbook bloggers. When did you get your first computer? The year was about 1990 and I was in middle school. I received an IBM-compatible computer for Christmas and remember being upset it wasn’t a Macintosh. I soon forgave my parents for their mistake, learned the software, played Solitaire and wrote countless short stories on it. Describe your early experiences with the Internet: I barely remember using the Internet in my high school’s library, but I do recall being in the computer lab at the University of Toledo in 1996 when I was introduced to WebCrawler. When I think about how the Internet works, I’ve never been able to get the image of a bunch of Spideys crawling around the web, capturing information for search engines. What do you do when you’re not using tech? Since I’m a mom, I’m usually doing housework, running errands and helping the kids in one way or another. If I had it my way, I’d be spending most of my time in the craft room, getting messy and listening to music. Stay tuned for more Meet The Team posts! Until then, I’d like to hear from you: What were your early experiences with computers and the Internet? And what do you do when you’re not using technology? This entry was posted in About Us and tagged about us, meet the team by Danielle. Bookmark the permalink. ‘So very happy for you, Danielle! Your job sounds awesome!! Our first computer was rather big; gee, I wish I could remember the name. As I recall we mostly played games on it. It was a gift from a family member who was very tech savvy. Then we graduated to the more current computers. That is when I started with word processing and e-mail. I love crafting and spending time with my family; actually, I am in scraproom right now, wink! I can’t remember the name of mine either. I ended up getting a laptop during my last year of college…and I still have it in a closet!